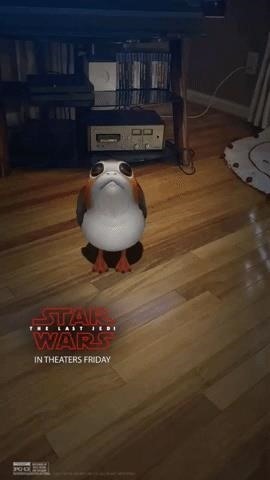 To promote Star Wars: The Last Jedi, Disney and Lucasfilm released virtual porgs into the wilds of Snapchat via a Sponsored Lens on Sunday. The Lens placed a porg in your personal space via the rear-facing camera. 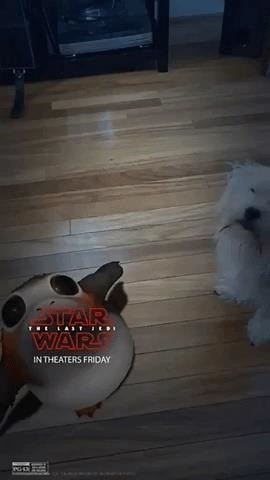 Using the front-facing camera, the Lens also equipped users with lightsabers, but let's face it, the porg is the real treat here. In this experience, the portly penguin-like creature with the eyes of a pug flaps its wings and belches its siren-like cry. Are porgs as cute as Ewoks, or are will they approach Jar-Jar Binks levels of annoying? Perhaps these gifs will persuade you. 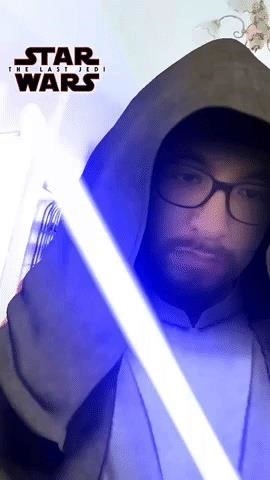 However, if you sign into Snapchat to play with it today, you'll be in for some disappointment, as the porg is already gone. Perhaps that has something to do with the cost of sponsorship; Digiday reports that Snapchat bills upwards of $1 million per day for a Sponsored Lens. Star Wars has been one of the more active entertainment brands in terms of augmented reality, particularly in the promotional campaign leading to the release of the franchise's latest film. 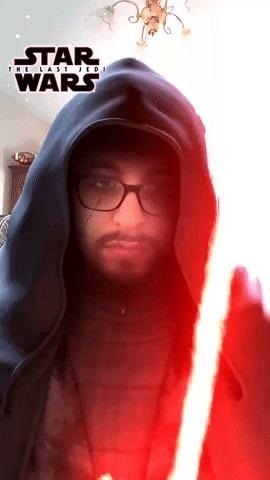 In addition to the franchise's efforts on Snapchat and Facebook, Star Wars also has a presence within the Clips app for iPhone X, as well as a theme pack for AR Stickers on the Pixel 2 from Google. The franchise also ran an AR scavenger hunt in conjunction with the launch of the merchandise line for Star Wars: The Last Jedi. That launch included the opening of pre-orders for the Star Wars: Jedi Challenges AR game, powered by the Lenovo Mirage headset. For its promotional tie-in with the new film, Nissan is also hosting an AR experience in its dealerships. The franchise's affinity for AR has a kind of "life imitating art" feel to it, considering the early (albeit fictional) use of holograms in the movies. But beyond sci-fi, the use of AR in Star Wars promotions also falls in line with the technology strategy of its parent company, as Disney CEO and chairman Bob Iger has gone on record regarding the company's preference for AR over VR. In short, while Episode IX will mark the end of the line for the Skywalker saga, AR will continue along at warp speed for the franchise.